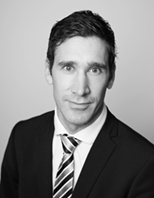 Rikard Vabo joined Fearnley Securities in 2004 as a shipping analyst. From 2004-2013 he consistently ranked among the leading shipping analysts globally. In 2013 he ranked among the top 3 analysts covering global shipping by the Wall Street Journal. In 2013 Rikard assumed the position as Head of Corporate Finance. He holds a Master of Science in Business from BI Norwegian Business School, and a Master of Science in Finance from Vienna University of Economics and Business.